Mic check! Mic check! Lacking amplification in Zuccotti Park, Occupy Wall Street protestors addressed one another by repeating and echoing speeches throughout the crowd. In Occupy, W. J. T. Mitchell, Bernard E. Harcourt, and Michael Taussig take the protestors’ lead and perform their own resonant call-and-response, playing off of each other in three essays that engage the extraordinary Occupy movement that has swept across the world, examining everything from self-immolations in the Middle East to the G8 crackdown in Chicago to the many protest signs still visible worldwide. “You break through the screen like Alice in Wonderland,” Taussig writes in the opening essay, “and now you can’t leave or do without it.” Following Taussig’s artful blend of participatory ethnography and poetic meditation on Zuccotti Park, political and legal scholar Harcourt examines the crucial difference between civil and political disobedience. He shows how by effecting the latter—by rejecting the very discourse and strategy of politics—Occupy Wall Street protestors enacted a radical new form of protest. Finally, media critic and theorist Mitchell surveys the global circulation of Occupy images across mass and social media and looks at contemporary works by artists such as Antony Gormley and how they engage the body politic, ultimately examining the use of empty space itself as a revolutionary monument. 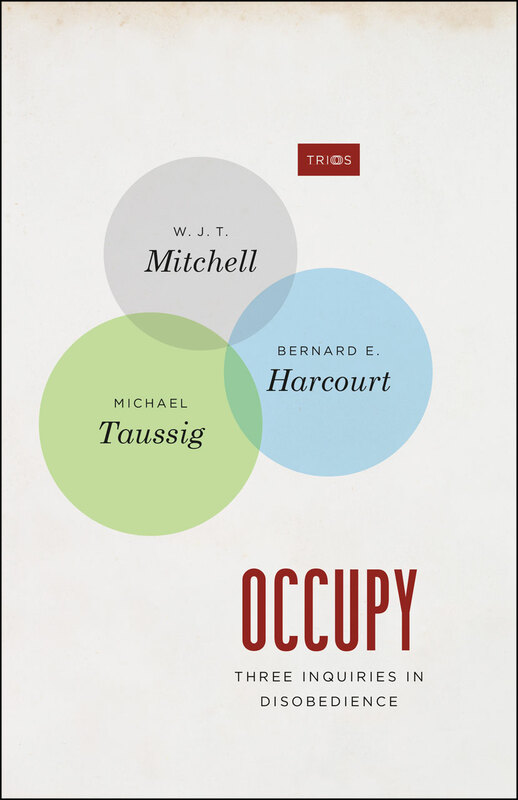 Occupy stands not as a primer on or an authoritative account of 2011’s revolutions, but as a snapshot, a second draft of history, beyond journalism and the polemics of the moment—an occupation itself. Victor S. Navasky, author of The Art of Controversy: Political Cartoons and Their Enduring Power.